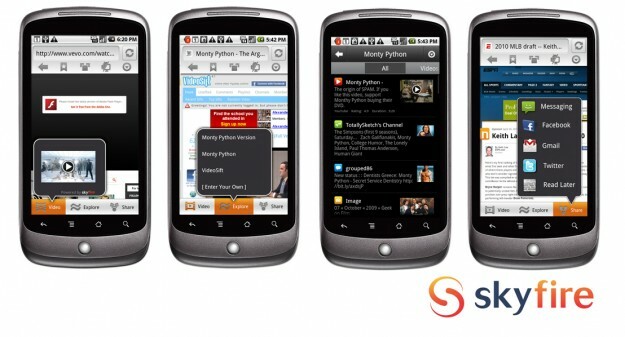 After the much hyped acquisition of Kolbysoft and a controversial leaked alpha, Android users who are eager to enjoy Flash video on their phones can now grab Skyfire 2.0, dubbed the first ‘mobile browser for the Social Media generation’. In a departure from the very popular Windows Mobile version of the browser, the developers have chosen not to include Flash video in-line and have instead introduced a new feature: the SkyBar. When users visit a page that hosts a Flash video, the SkyBar will pop up and alert them to the videos presence. They then have the option of launching the video, which is transcoded to H.264 on the fly and in the cloud, and delivered seamlessly to the user's device. In our tests here at Android Police, we were able to stream full screen Flash video from The Daily Show over T-Mobile's 3G network in very watchable quality and with under a minute of buffer time. It's important to note that at this time, you can not pause, resume, or seek while watching a video. If you exit the video for any reason and attempt to watch it again, you will have to start the video from the beginning. We've reached out to Skyfire's representatives to see if this is a limitation of the beta or something that we should expect to remain in the final release. Social networking integration is also emphasized in Skyfire 2.0, and an “explore” option on the menu shows content from social sites such as YouTube, Twitter and Digg based on what you’re currently viewing. You can then share any content that you like, posting to Facebook and Twitter amongst other options. You can download Skyfire 2.0 for Android right now by searching for it in the Android Market or visiting the download page at Skyfire. 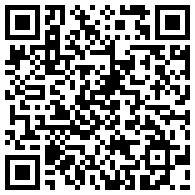 Alternatively, just scan the QR code below with Barcode Scanner.